A C a p i t a l I d e a ? 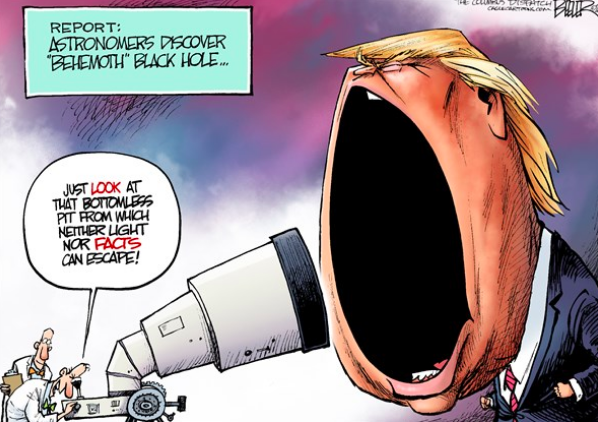 Republicans in DC have long carped on NASA for doing too much Earth science (translation: global warming research) instead of allotting more money for deep space exploration. 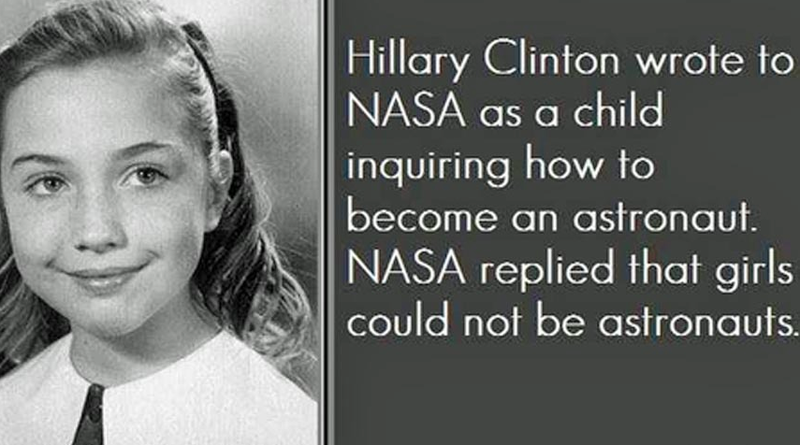 Last week, the space agency suggested it may soon cave in to their nagging. 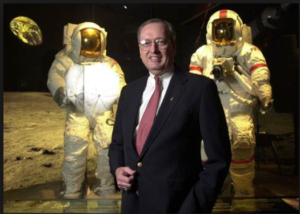 In a press conference about Mars last Thursday, NASA’s Deputy Administrator of Space Exploration, Bill Hill, said they want to place the International Space Station into commercial hands within the next ten years. “Ultimately, our desire is to hand the space station over to either a commercial entity or some other commercial capability so that research can continue in low-earth orbit, we figure that will be in the mid-20s,” Hill said. You can’t get more plain that that. I have ugly visions of “Exxon Mobil” screeching in “bitchin’” colorful decals on the side of the ISS. To seriously get to Mars — by 2033 as Hill told reporters last week — and on the skinny budget Republicans allot for America’s space endeavors, we can see how NASA would have to sacrifice the International Space Station on the altar of capitalism. At a cost of $4 billion a year to operate, NASA spends 20 percent of its annual budget on missions to and fro the ISS. And that’s just the U.S. section! 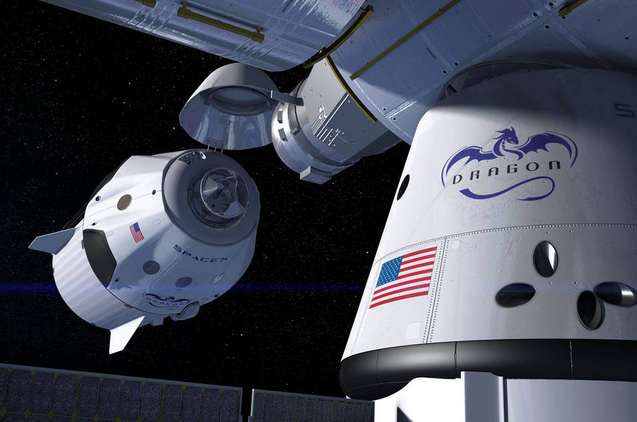 SpaceX’s missions to the space station will taxi as many as four crewmembers to low Earth orbit. But there’s the rub. The operative word that is getting lost in this new noble gesture is “international.” The ISS, which took decades to get off the ground after countless revisions that whittled the engineering marvel into a smaller and smaller shadow of its original self, is still a group global effort. 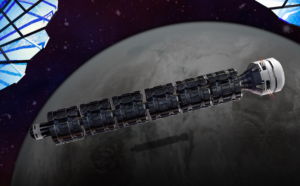 Would NASA merely sell the American portion of the space platform? That certainly has not been made clear yet. 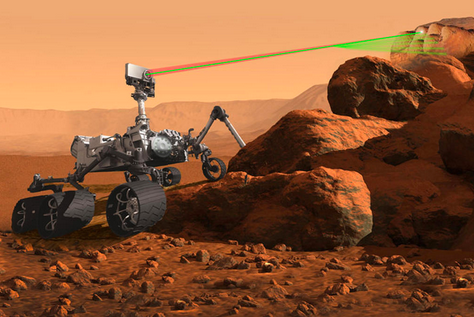 There is no doubt that something’s gotta give if we are to get humans to Mars. Either NASA’s budget should be doubled or America should scrub its collective – and not privately-backed – effort to reach for the stars. Galactic Sandbox suggests that Congressional Republicans put up or shut up. 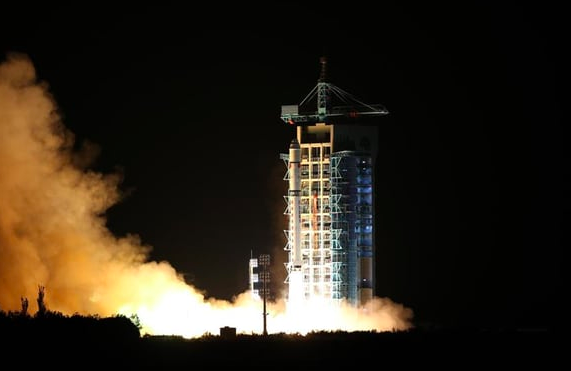 China’s Long March-2D rocket carrying the first quantum satellite takes off in the Gobi Desert on August 16, 2016. Last week, China boasted the launch of the world’s first “quantum satellite” that according to the state news agency Xinhua is ” designed to establish ultra-secure quantum communications by transmitting uncrackable keys from space to the ground,” as well as “conduct experiments on the bizarre features of quantum theories, such as entanglement.” In other words, China is claiming that its Quantum Experiments at Space Scale (QUESS) satellite – addition to transmitting sensitive information via “quantum key encryption” — will literally teleport data from a sun-synchronous orbit 310 miles above Earth. 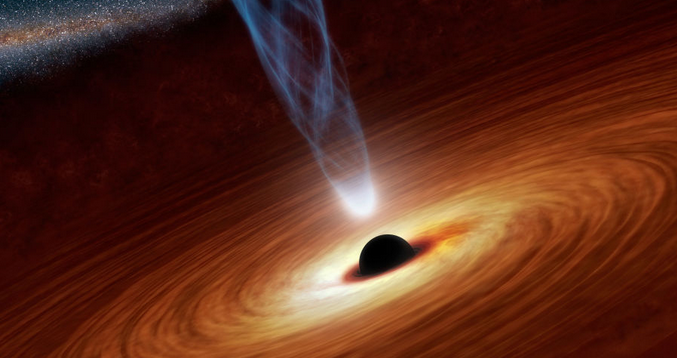 Now, before your “woo woo” meter flashes “tilt,” take a look at a last week’s Quartz article that explains the science behind this story much more intelligently than we could possibly do in this limited column space. S t a r W a r s R e d u x ? 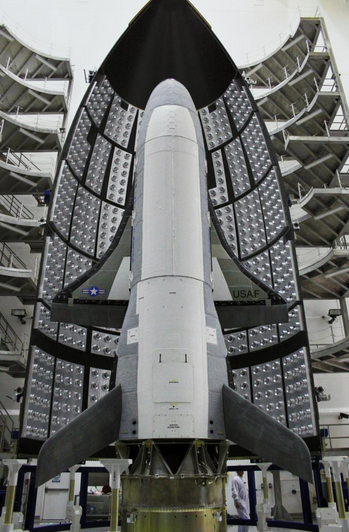 The US Air Force’s newly launched eye-in-the-sky sats join the secret unmanned X37B space plane that has already been in orbit for a year. While you weren’t looking, the US military took homeland security to new heights, and launched two spy satellites Friday as part of the Air Force’s newly-christened orbital “neighborhood watch” program. 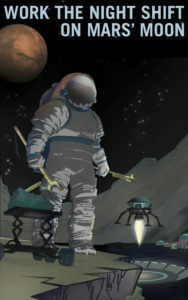 According to New York Daily News writer Gersh Kuntzman, the official story as reported by USA Today is that the Geosynchronous Space Situational Awareness Program birds will deter US “enemies” from running “hostile operations in space as an extension of the terrestrial battlefield,” In other words, the latest spooksats will monitor our current spacecraft for possible collisions with ncoming missiles launched by unfriendly nations. You can understand our uneasiness about this latest development despite the Air Force’s insistence that the U.S. is not looking to weaponize space. As Mr Kuntzman notes, the the Air Force is spending about $10 billion on classified space operations this year —nearly twice the $5.5 billion the entire Pentagon will reportedly spend on cybersecurity acquisitions. 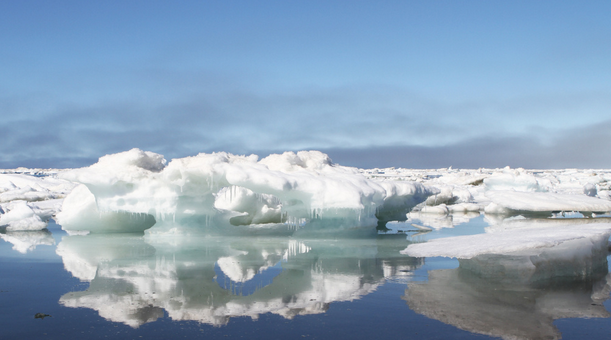 Sea ice melts off the beach of Barrow, Alaska where NASA’s Operation IceBridge is being conducted this year. 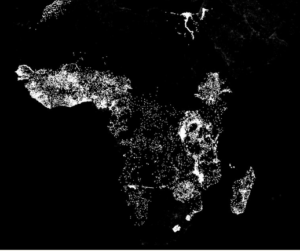 A new Stanford machine-learning system compares satellite images of nighttime lights indicative of electricity and economic activity with daytime pix of roads, urban areas, bodies of water and farmland to come up with a highly-accurate means of predicting extreme poverty areas around the globe. Stanford University interdisciplinary researchers have corralled millions of high-resolutions satellite images to come up with a new “poverty mapping” machine -learning system to more accurately identify the poorest areas of the world. 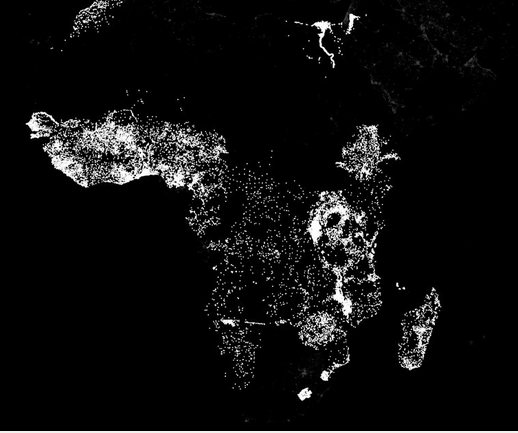 This new model discipline – a subset of the broader field of artificial intelligence – uses both “daytime and nighttime satellite imagery … to make predictions on poverty,” said Stefano Ermon, assistant professor of computer science at Stanford. “The system essentially learned how to solve the problem by comparing those two sets of images,” he added. NASA rocket scientists were buoyed by last week’s successful test of Space Launch System engine, bringing the agency one step closer to an inaugural blast off of its deep space mega missile in late 2018. The RS-25 engine — basically an upgrade to the space shuttle era motors used for over three decades — will power NASA’s planned crewed missions to the Moon, Mars and beyond. 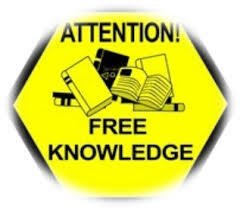 Top-notch research results are free for the taking as NASA announced this week it will no longer charge the public for its library of knowledge. 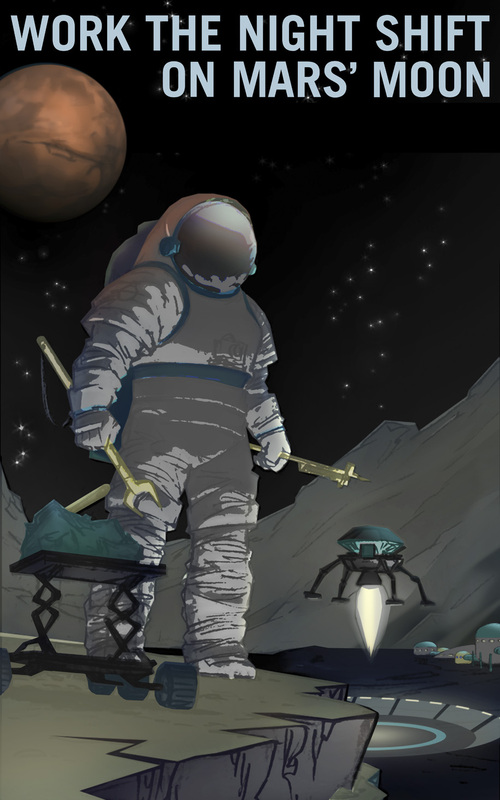 Within the year, the agency plans to release thousands more of its papers, with topics ranging from the toxicity of lunar dust to the make-up of Earth’s early atmosphere. Until now, NASA’s research papers were available for a fee (and considering how the agency seems to be selling off its assets, we’re surprised they don’t continue the trend with its acquired discoveries). Of course, matters of national security, defense and patents are still off limits. The move comes three long years after the White House Office of Science and Technology Policy directed the agency to make more of its research accessible to the public. 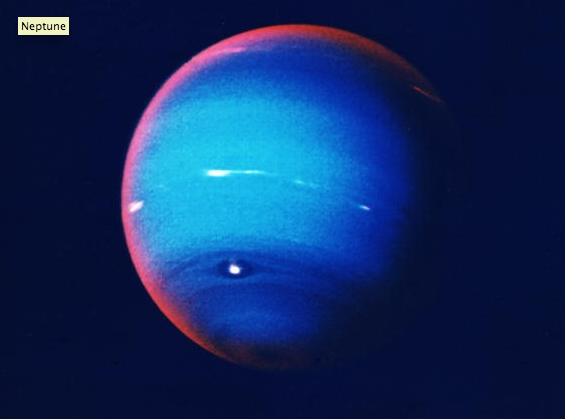 So far, there are about 850 papers available now at NASA’s Pubspace. Astronaut Kate Rubins puts the final touches on the new Space Station docking port that will be the entry and exit point for a new generation of commercial crew-ferrying spacecraft. Rubins is the 12th woman astronaut to perform a spacewalk. 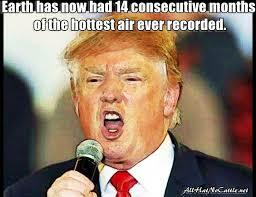 Evidence of catastrophic global warming has been reported with exponentially rising frequency this summer, but according to America’s Republican presidential candidate, the world is not to worry. 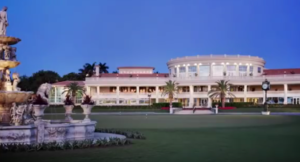 In an interview last week with the Miami Herald, Donald Trump again said he was not “a big believer in man-made climate change.” One would think that he’d have a better eye doctor considering his “huge wealth,” as his most beloved mansion, Mar-a- Lago (Palm Beach, Florida) – one of many opulent Trump estates – sits on ground zero for rising sea levels. Future Davy Jone’s Locker? 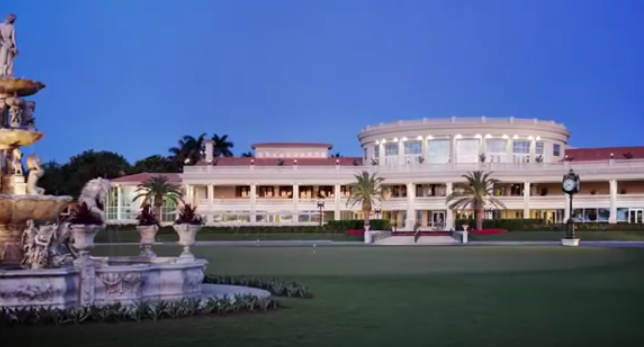 Trump’s National Doral Resort in Miami. Trump also added that he wants local governments to deal with the problem, not the federal government. Although, he might want to ask how the Miami City Council feels about that bright idea, since they recently had to gut the city budget of $500 million to prepare their metropolis for the onslaught of the impending salty deluge. Meanwhile, scientists are sounding the warning bell…yet again. Researchers now say that keeping the planet’s average temperature from rising another 1.5 degrees C, as agreed upon by 200 nations last December at the Paris Climate Conference, is “impossible, or at the very least, a very very difficult task.” That’s the opinion of Stanford University professor Chris Field, co-chair of the International Panel on Climate Change. 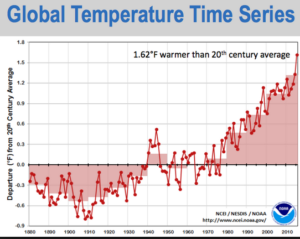 He cited that the Earth already peaked at 1.38 C in February and March, which is far sooner than expected. Field and other climate scientists are meeting in Geneva this month to figure out how to implement the Paris agreement – that is, if it still can be. 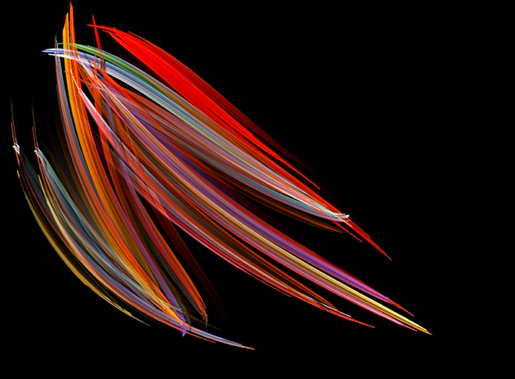 Nature World News also reported this week that a plankton die-off in the oceans has accelerated due to acidification, lack of oxygen, and rising sea temperatures. 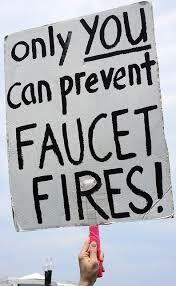 Acidification is caused by carbon monoxide from the atmosphere mixing into the vast oceans. The result will be a domino effect that will kill off massive swaths of the marine food chain, this time starting at both ends of sea species since the main diet of whales is the minute plankton. 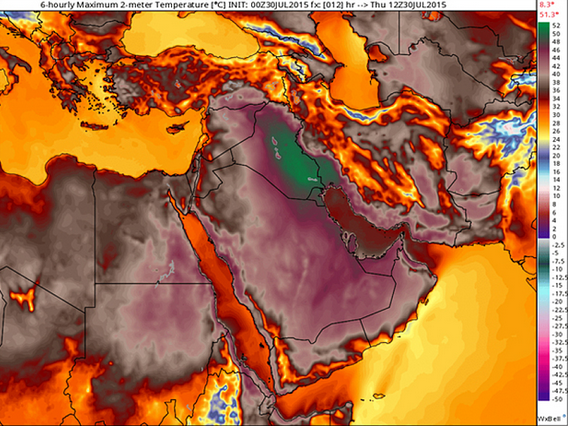 Last year in August, Iran experienced a scorching “heat dome” in which the heat index reached an uninhabitable 165 degrees F.
As if the above wasn’t bad enough, United Nations and climate scientists have put out advisories recently that temperatures in the Middle East have broken the records this summer: In July, the city of Basra, Iraq, hit 54 degrees Celsius – that’s 129 degrees Fahrenheit. The heat in Kuwait and Iraq, as reported in the Sydney Morning Herald, has actually “startled” observers and alarmed those who are used to high heat. Stepping outside is like “walking into a fire,” said Zainab Guman, a 26-year-old university student who lives in Basra. “It’s like everything on your body – your skin, your eyes, your nose – starts to burn,” she said. The entire country has taken to avoiding all daylight, and the streets are empty until nightfall. Experts have estimated it will only get worse, making the region from Morocco to Saudi Arabia uninhabitable for humans and most other species, possibly by 2050 – or sooner. Yes, we’re standing by this one. 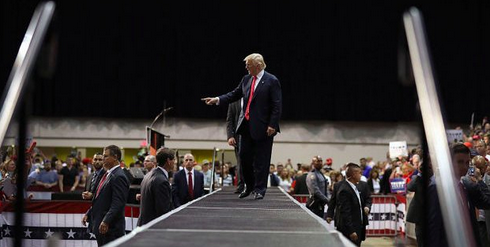 I dunno – maybe Trump is right! 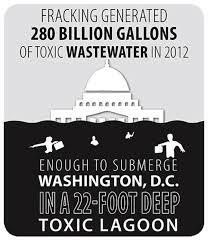 With slave labor and no concern for anything living, we can be the ones putting China and Laos to shame – as well as perhaps start a whole new gas mask industry! 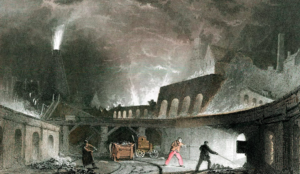 Of course, we will all be dead from toxic air, the absence of water and what little poisoned, pesticide-laden food is left, but at least we could save face and money — or at least “smart” businessmen like Trump will save a boat-load of dough. Let’s put America back to work! Let’s make America Great … and Dead … Again! The past is prologue? 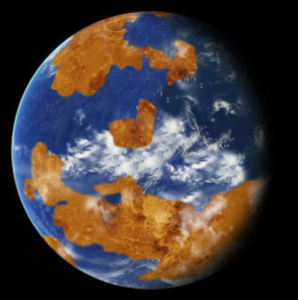 NASA scientists depict a younger, Earth-like Venus. The same tools used to model climate change on Earth have been employed to paint a dramatically different picture of the planet Venus as it existed just up to 715 million years ago, according to a new NASA Goddard Institute for Space Studies (GISS) study. Instead of the present-day dry and toxic wasteland where surface temperatures can soar as high as 864 degrees F, for a period of about 2 billion years an Ancient Venus may have been so radically different that it could have been ideal for supporting life. Using a computer model that hits the rewind button on the planet’s geophysical history, the GISS researchers suggest that the second planet from the Sun sported a liquid water ocean that was the source of a thick vapor cloud that served as protection from the scorching solar rays and maintained habitable temperatures as low as 50 degrees F.
A powerful solar flare in May 1967 caused significant electrical disruptions to Cold War military equipment that brought the world close to a nuclear war, according to a study recently published in Space Weather. 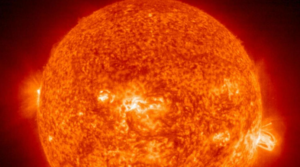 The solar storm, one of the most intense in the past century, was so strong that it knocked out all three of the US’s early-warning system radars used to detect incoming Soviet missiles, thus sounding “red alert” alarms and sending Air Force personnel scrambling to ready nuclear-laden aircraft since US officials briefly believed the Soviets were capable of jamming radar, and considered such electronic “hacking” an act of war. 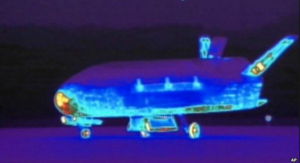 “The aircraft did not launch –we’re pretty certain of that,” lead researcher Delores Knipp of the University of Colorado at Boulder told Gizmodo. “Was war imminent? What we know is that decisions were being made on the tens of minutes to hours basis, and that information got to the right place at the right time to prevent a disaster.” According to the recent study, the newly-established Solar Forecasting Center was able to sniff out the real cause of the radar disruptions just before the world was blown to smithereens. After 100 years of being in lock step with the Earth a small rocky piece of space dirt has officially earned the rank of “quasi-satellite” status. The mini-moon – asteroid “2016 HO3” – was first spotted on April 27, 2016, by the Pan-STARRS 1 asteroid survey telescope on Haleakala, Hawaii, and is believed to be 120 to 300 feet in size. 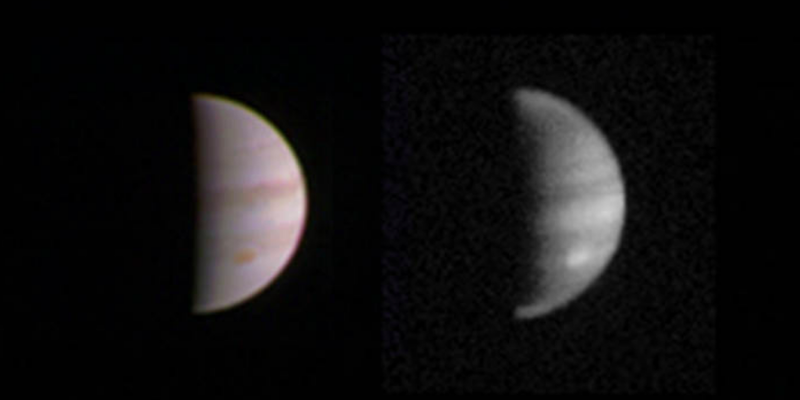 “Our calculations indicate 2016 HO3 has been a stable quasi-satellite of Earth for almost a century, and it will continue to follow this pattern as Earth’s companion for centuries to come,” noted Paul Chodas, manager of NASA’s Center for Near-Earth Object (NEO) Studies at the Jet Propulsion Laboratory in Pasadena, California. Newly-spotted NIku trans Neptunian objects is 160,000 times fainter than the blue gas planet. 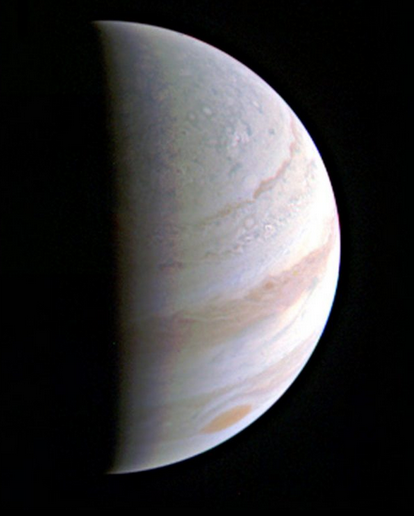 A newly-discovered Trans-Neptunian Object is causing scientists to scratch their heads due to its unusual characteristic in which it traveling the opposite direction of other bodies in our solar system. 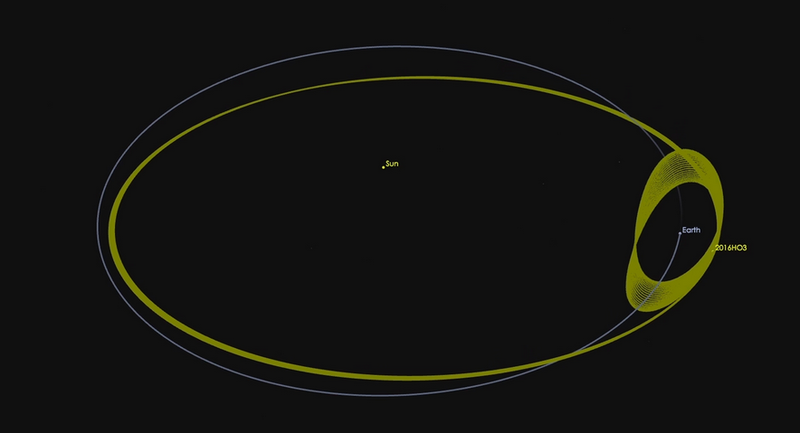 Dubbed “Niku” (Chinese for rebellious), the minuscule 200 km dwarf planet also orbits in a plane that’s tilted 110 degrees to our solar “disc” According to a Huffington Post report, astronomers are speculating how Niku got its askew and retrograde orbit. One theory involves the possibility that Niku was knocked off course by some other, as-of-now unknown object. 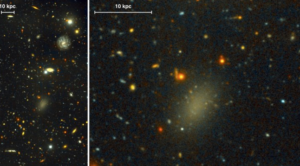 Discovered via the Pan-STARSS telescope system in Hawaii, Niku appears to be part of cluster of similar objects and icy planetoids with similar unusual orbits. 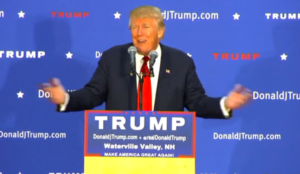 Trump tells 10-year-old last year that the US needs to fix potholes rather than spend money on space exploration. 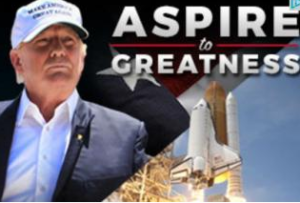 Like everything that emanates from Trump’s pretzel-shaped brain, the implication is that he, and he alone, will make NASA “great again,” absurd rhetoric that he hopes Floridian conservatives would lap up. Yet back in November, when a ten-year-old boy asked him his opinion of the space program, Trump alluded that he would rather nuke the world instead of discovering the wonders beyond it. Trump ads hijack NASA accomplishments while the candidate’s space policy lacks the aspiration for anything great or small. 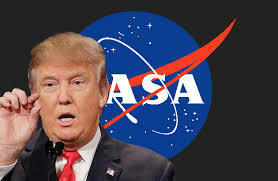 It’s dubious that Trump is even aware of the surge in commercial space endeavors this past decade, such as those accomplished by companies like Space X and Blue Origin, never mind the latest achievements made by NASA and it’s Orion Crew Vehicle and the Space Launch System. We doubt he is even aware that there is an internationally collaborated space station flying over his orange, day-glow head. 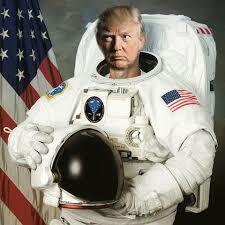 A petition was started a few months ago on Change.org asking NASA to send Trump into space and leave him there. So far the petition has garnered 69,439 signatures. Click here to join the fun! What The Flying Spaghetti Monster?? Kid in a candy store? MoonEx CEO Bob Richards. 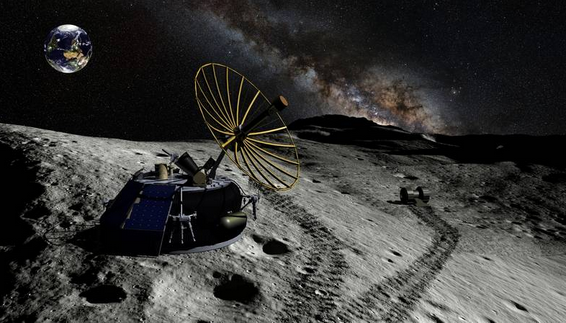 MoonEx is also hoping to use its 2017 mission to cash in on a $20 million bounty offered by Google as part of the Lunar XPRIZE competition, in which commercial entities must land on the Moon, blast off again, and then drop anchor more than 1,500 feet away and beam high-definition video images back to Earth. 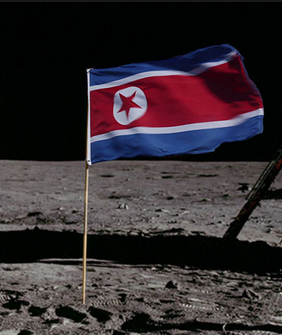 Kim Jong-un on the Moon? You heard right! Saber rattling North Korea has announced it’s gearing up to “plant the flag” of their fascist country on the Moon (robotically) within a decade. And they don’t give a fig about the U.S.’ stinking sanctions. “Even though the US and its allies try to block our space development, our aerospace scientists will conquer space,” said Hyon Kwang-il, director of the scientific research department of North Korea’s National Aerospace Development Administration. 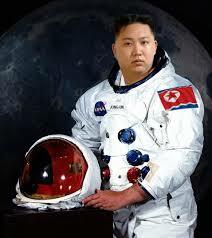 North Korea “lunar astronaut” Kim Jung. In the last several years, North Korea has aimed “nuclear” warhead rockets southeast toward South Korea and sort of at the United States, but the launches have had the impacts of bottle rockets. Some months ago they claimed to have blasted off their first “hydrogen bomb” – underground – which turned out to be a big fat lie. 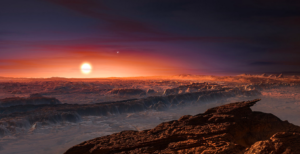 Nonetheless, astrophysicist Jonathan McDowell, an expert on international sats and launches, said their “declaration” isn’t all that far-fetched. 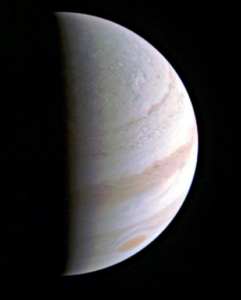 “Given their low flight rate of one [space] mission every few years, I think it is hard to see them succeeding in this in the next five years, but possible to see them attempting it,” he added. 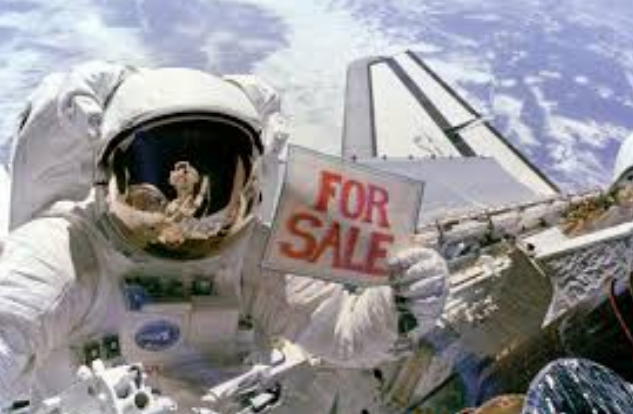 Space Case -Max Ary was convicted of selling space museum items loaned to the center by NASA. dust-embedded bag ““a rare artifact, if not a national treasure,” asked a federal judge last week to rescind the bag’s sale. Apparently, the mix up is the latest twist in the sordid tale of Max Ary, the founder and longtime director of the Kansas Cosmosphere and Space Center in Hutchinson, who was convicted in November 2005 for stealing and selling space artifacts and memorabilia. 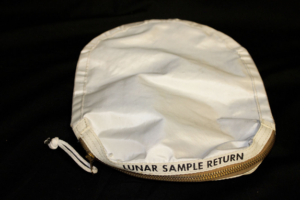 The lunar bag was discovered in 2003 n Ary’s garage, and was misplaced when it was ID’d the same as an identical bag from the Apollo 17 mission that was sold by Ary for $24,150 and also recovered during the investigation. The night of August 11-12 is the peak time of this year’s Perseid Meteor shower – one of more impressive shooting star shows of the year. 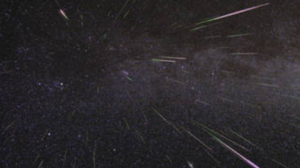 While the Perseids are one of the major perennial meteor displays, this year’s celestial splash is being touted as a “spectacular show” by the media echo chamber after NASA announced that forecasters are expecting double the rates with up to 200 meteors per hour (approximately 3 per minute) due to the planet Jupiter pulling comet Tuttle debris closer to Earth than normal. However, before you don the hardhats, don’t be surprised if you’re somewhat disappointed as the result of media over-hype: depending on the actual time of the peak, you are most likely going to stare at the sky for 10-15 minutes before seeing any signs from the heavens; also, be advised that the waxing Moon will limit viewing until well after midnight on the 12th. A platoon of NASA scientists are working under near-intolerable environmental conditions in Greenland, mapping the melt-rate of the continent and figuring how the catastrophe is contributing to climate change. 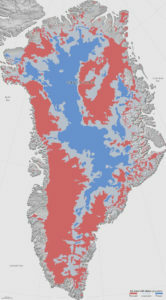 The icesheet covers 80 percent of the country and the cold water rushing into the Atlantic from Greenland alone will make sea levels rise 24 feet. They have so far deduced that the southeastern and northwestern zones are already thawed. 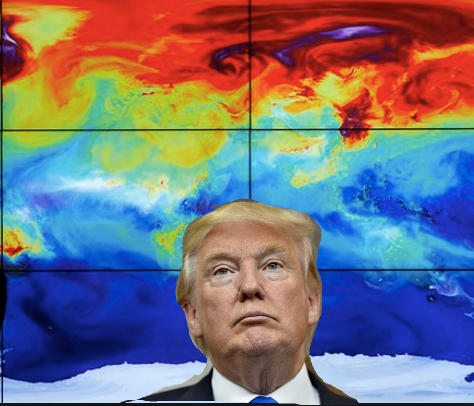 Galactic Sandbox wishes to congratulate every global warming denying Republican in Congress for this preventable world disaster of biblical proportions. 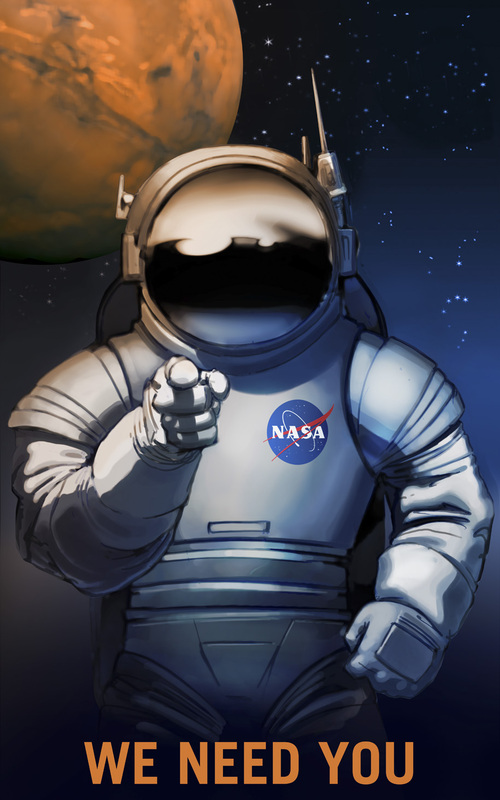 NASA policy wonks got together last week in Cleveland to deliver a series of public reports about the space agency, specifically its Human Exploration and Operations, which is running out of time to provide a permanent “Made in the USA” way to send astronauts to the International Space Station (ISS) before the end of 2018. 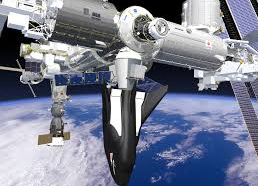 Ever since the US mothballed the space shuttle program in 2011, American astronauts have been ferried to low Earth orbit via Soyez craft as part of a one-off deal with the Russians that expires December 31, 2018. 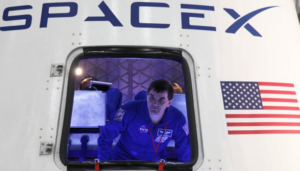 Fortunately .NASA has been feverishly working with commercial firms Space X and Boeing that reportedly will be ready to conduct flights of next-generation crewed space taxis by October 2017 and May 2018 respectively. 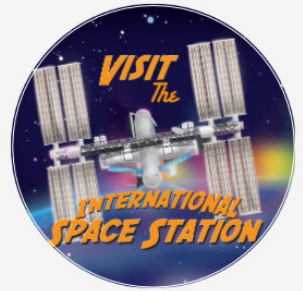 However, given the usual development hiccups that occur in such projects, there is no guarantee that these dates could be pushed back, thus jeopardizing the status of future ISS missions. 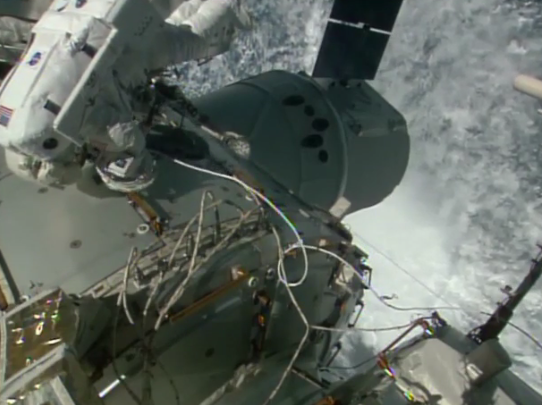 On the bright side however, NASA announced Friday that it has ordered a second SpaceX crew mission to the ISS. SpaceX’s successful full-duration test of a reused Falcon 9 first stage in a major step towards maintaining a fleet of fully-recycled commercial rockets. While NASA scientists are biting their nails over low-Earth orbit capabilities, the space agency’s human flight programs continue to look beyond our planet with the development of a heavy duty Space Launch System. During last week’s Advisory Council meeting in Cleveland, NASA deputy associate administrator for programs provided an overview of NASA’s deal with Space X in which the agency will support that firm’s unmanned Red Dragon Mars lander mission in May 2018. 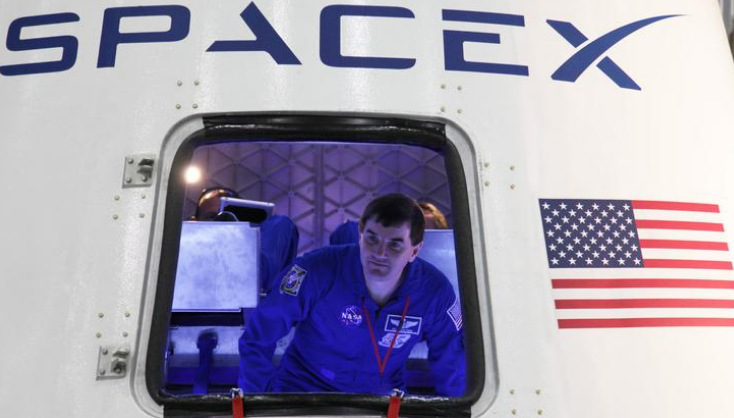 While NASA estimates that Space X is spending $300 million on its Red Dragon development, the space agency expects to provide $32 million over four years in Mars mission technical support for Elon Musk’s commercial space firm. 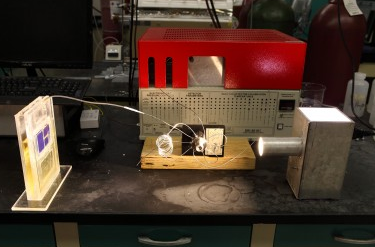 In what could result in a commercial technology that may render fossil fuels obsolete, engineers at the University of Chicago have developed a new type of solar cell that can convert carbon dioxide into hydrocarbon fuel using the power of the sun. According to Amin Salehi-Khojin, “Instead of producing energy in an unsustainable one-way route form fossil fuels to greenhouse, we can now reverse the process and recycle atmospheric carbon into fuel using sunlight.” Unlike the traditional photovoltaic cell that can transform sunlight into electric energy which is then stored in batteries, Salehi-Khojin’s team has developed a “photosynthetic” cell that can manufacture a mixture of hydrogen gas and carbon monoxide that can be burned directly or converted into other forms of fuel, like diesel. Just when you thought Donald Trump had a monopoly on doomsday predictions, a viral video posted through End Time Prophecies last month predicted a colorful end-of-the-world scenario that was set to occur (and as far as we can tell failed to happen) on July 29th. In case you overslept and missed the end times, according to the 17-minute barn burner Youtube clip (and automatic Galactic Sandbox 2016 Tin Foil Hatter of the Year nominee), the Earth’s magnetic poles were supposed to flip, causing the planet to split open and “stagger like a drunk .. collapse, and never rise again.” Apparently the video was produced by Armageddon News, which claimed that someone else had re-uploaded their video and slapped a July 29 date to it. “Nothing is going to happen on July 29th. 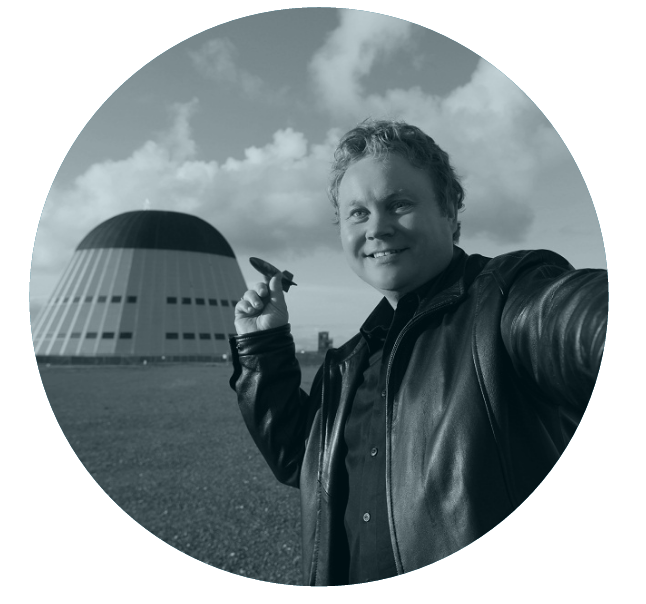 We have never claimed such a thing , this date is just another false date being promoted online,” explained Armageddon’s John Preacher. For the record, regardless of a specific date, Preacher’s video does predict Jesus will return the same day the Earth’s magnetic poles reverse, so just in case we’re keeping our supply of tin foil hats well stocked.